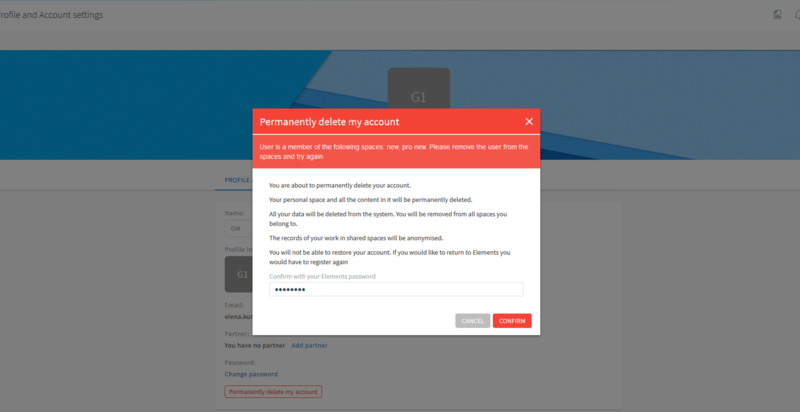 How to permanently delete a user account ? How to delete my own account ? 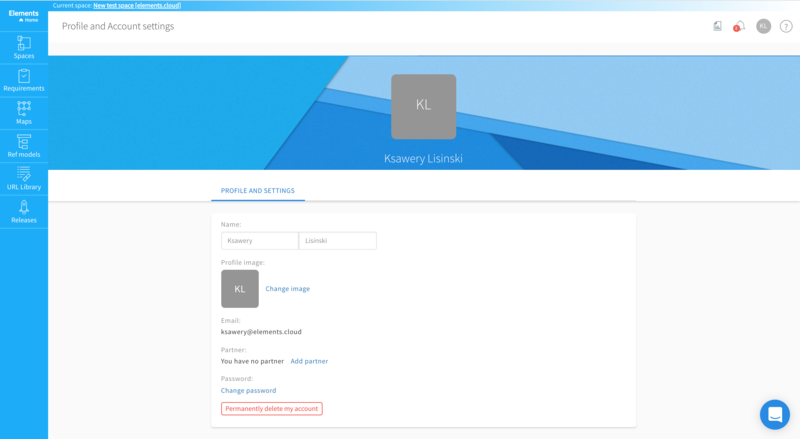 You can delete your own user account in your profile settings. Click on the "Permanently delete my account" button at the bottom of the page. To confirm the process, you must re-type your Elements password. To successfully delete your account, you must leave all your spaces (and transition appropriate rights to other team members) unless you are the only user in a given space.